This would also be a good time to consult with a tax advisor and a RE/MAX Executive agent. Thousands of RE/MAX agents are specifically trained to work with distressed properties, and will be able to help you explore foreclosure options. 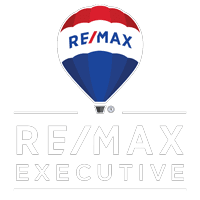 Find a qualified RE/MAX Executive agent in your area. Search for Certified Distressed Property Expert, Short Sales & Foreclosure Resource or Five Star Professional. The U.S. Treasury has announced guidelines for streamlining and simplyfing the Short Sale Process.